This is a traditional cookie that I have been making for many years. 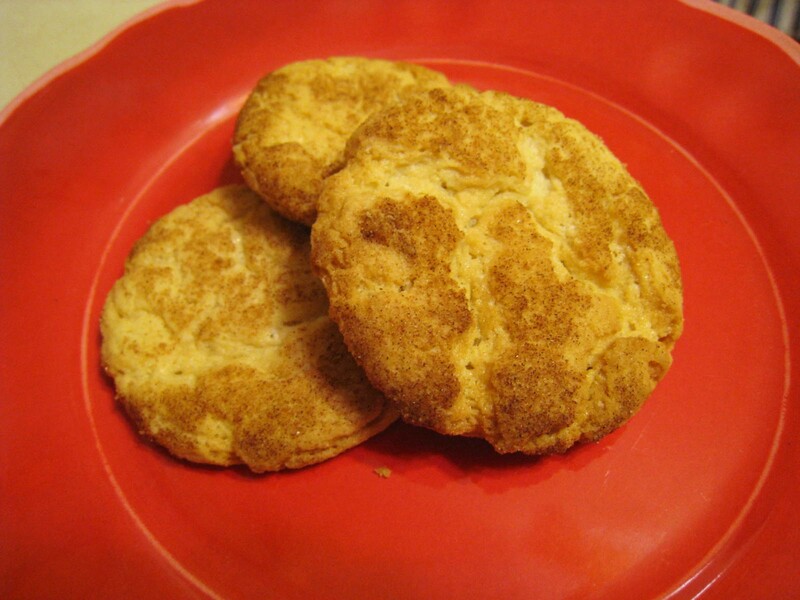 Snickerdoodles are simple to make and are great for the little ones to help. I plan to make these with my daughter; she’ll have fun rolling them in cinnamon-sugar. These cookies were a little harder than I prefer…I like them when they’re soft and chewy, but they still were delicious! Preheat oven to 400 degrees. In a large bowl, cream together the shortening and sugar until smooth and fluffy. Stir in one egg at a time blending well. In another large bowl, combine the flour, baking soda, cream of tartar and salt. Slowly add this to the wet mixture and stir until well blended. Roll dough into small balls. In a small dish, mix together 2 tablespoons of sugar and 2 teaspoons of cinnamon. Lightly roll the dough balls into the cinnamon-sugar. Place on a cookie sheet 2 inches apart. Bake for 8 – 10 minutes or until edges are starting to brown.